Review by Tuomas K. Pernu, Ph.D.
Jerome Kagan (b. 1929) is an eminent psychologist, professor emeritus at Harvard University, and co-faculty at the New England Complex Systems Institute. Kagan is an expert on developmental psychology, and widely recognized as one of the key architects of the field. Kagan's research has focused on personality traits, temperament in particular, and on factors that contribute to their development. In short, Kagan has been engaged with trying to answer the question of how, and why, we turn out to be the way we are. An interesting and highly important question indeed. In addition to a large body of experimental and scientific work, Kagan has published several books in which he reflects on the place of psychology among the sciences. Kagan's career is impressive. He has witnessed, and contributed to, the rise of neuro-, and more generally biological psychology. However, contrary to many other notable researchers in these fields, Kagan is not in the business of preaching the evangelism of physicalism and biologism. His mission is rather the opposite, or at least more ecumenical. In a series of books -- most notably An Argument for Mind (2006) and The Three Cultures: Natural Sciences, Social Sciences, and the Humanities in the 21st Century (2009) -- Kagan has defended the reality of the mental realm and the autonomy of the psychological sciences. 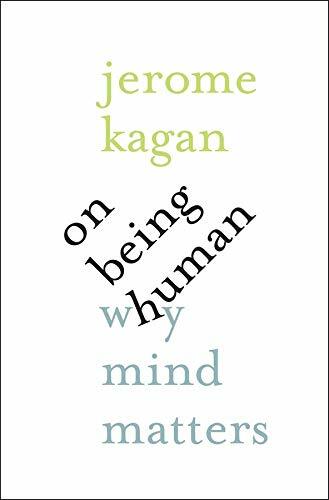 His most recent book, On Being Human: Why Mind Matters, is his latest restatement of this position. On Being Human is not a textbook nor a systematic treatise. It is a collection of essays addressing the various aspects of the core topic of the book. Each chapter is an independent contemplation, or a personal view on a particular theme and the current research on it, such as "What does it mean to know? ", "Can brain explain mind? ", "What is education for? ", "The force of feelings" and "Does a moral person behave morally?". The personal tone of the book is fully intentional. Kagan declares in the preface that he took his inspiration from non other than Michel de Montaigne, decided to free himself of writing scholarly books and of the burden of providing footnotes for every conclusion, and set out to compose a collection of essays that "are best read in the evening, preferably over a glass of wine, as the reflections of a retired academic psychologist" (p. vii). The result is a well-written, profound and thought-provoking collection of writings of an educated and experienced intellectual. There is no shortage of philosophically oriented books written by eminent scientists aimed at a wide audience. They often suffer from a common problem: the writing is easy and uncritical, the style is bloated and the conclusions are weakly supported by the material presented. On Being Human is different. Although Kagan claims to be avoiding footnoting, the essays are full of references to empirical studies on various topics, and not just some references, but references to very recent, cutting-edge research. In fact, at times it feels like much of the material is written as a reaction to recently published research papers (and although the footnotes are indeed missing, there is a comprehensive list of references for each essay at the end of the book). Whether you find such a style appealing is a matter of taste, of course, but it does give the book analytical rigour that is often missing in these types of books. At times it almost feels like Kagan has achieved the unachievable: writing a book that is fluid and easy to read while also being scholarly and deep. There is an impressive amount of material and detailed remarks on empirical data in the book. However, some more general lines of thought also emerge. One recurring theme in the essays is the relationship of words or conceptual schemes and reality. One aspect of this theme relates more directly to psychology, Kagan's own field of specialty, and more specifically to the issue of how important, diverse and, sometimes, biased a tool conceptual schemes are. We categorize things very differently, and associate very different positive and negative connotations to things, depending on what sort of words and, consequently, conceptual schemes we apply to them. Kagan extends the discussion in the essays to the variety of conceptual prejudices -- like gender and race stereotypes -- through which we shape each other and, more importantly, ourselves. In a number of places Kagan stresses the importance of various different ways of categorizing ourselves (through gender, race, nationality, age, family, status) on the development of our characters. And this, on the other hand, serves as a demonstration of the main point of the book: why mind matters. Kagan is not blind to biological differences, and he does not deny the biological roots to some of our psychological and social tendencies. His main point is, however, that the currently overbiologized academic atmosphere has led us to neglect the crucial impact of psychological and social factors to our development and behaviour. Mind, and not just the brain or the genetic make-up, does indeed matter, and this should be more clearly acknowledged. Interestingly, Kagan turns much of these observations regarding words and conceptual schemes against psychology and social sciences themselves, or, more precisely, against the sloppy way these disciplines are often practiced. He points out, for example, how uncritically studies use the same wording in different cultures and linguistic environments. Same words often evoke radically different conceptual schemes in different cultures, and hence once should be very cautious in doing cross-cultural research -- or indeed any psychological or social research. Many psychologists recognize these problems, of course, and despair about how empirically elusive the psychological phenomena are. Kagan is not among these, however. In fact, he sees this sort of attitude stemming from tacit downplaying of psychology. The natural sciences face similar issues constantly, but the scientists do not despair: "[w]hen physicists decided that they had to determine whether the Higgs boson did or did not exist, they persuaded governments to give them $9 billion to build the Hadron Collider" (p. xii). It is strange indeed how we do not see the same sort of determinacy, and similar financial investments in research on topics that are more intimately connected to our well-being and everyday life. What, then, is this "mind" that apparently matters more? Unfortunately Kagan does not give a precise definition of the notion. In fact, he completely avoids the fundamental issue of how the mental and the physical are supposed to differ. It is difficult to tell whether this is intentional, but addressing this issue, even briefly, would have been welcome indeed. After all, it seems to be at the heart of the book. In between the lines it becomes apparent, however, that with "mind" Kagan refers to something that is characteristically socially, culturally and historically malleable. The antithesis -- the "physical" -- seems to refer, primarily, to crude biological determinism. However, this juxtaposition is in an obvious need of clarification (cf. Pernu 2011). For one, it is clear that all biological processes, from molecular and cellular to populational level, happen in an environmental and historical (evolutionary) context. Without being more precise, it becomes difficult to assess how, and indeed if, the mind does matter more. One should not get stuck in such a philosophical quibbling, however. The thesis that Kagan puts forth is definite enough for it to have a bite. We have become mesmerized by the recent advances of genetics and neuroscience, and are too quick to rely on them in explaining our psyche and behavior. Although our mental features are dependent on our biology -- Kagan is not a dualist -- most of the psychologically interesting phenomena are not essentially biological. Explaining our mental lives -- mental disorders and well-being in particular -- in biological terms is not downright wrong (for there is a connection between of our minds and our biological make-up), but simply irrelevant. In a way this is a very obvious point: "when a river becomes polluted, ecologists look for causes in the practices of industries located near the river and do not attribute the polluted state to inherent properties of the waterway" (p. 114). When assigning remedies, we need to put things in the right context. In case of our mental health, that context is psychological, social and cultural. To explicate and defend his case for the mind Kagan rolls out an impressive amount of examples and detailed discussion. On Being Human is an extensive and sharp account of the fundamental issues in psychology. You will not agree with all the reasoning, if you are critical and reflective, but it will make you think. And that, of course, is a mark of an excellent book. Kagan, Jerome (2006). An Argument for Mind. New Haven & London: Yale University Press. Kagan, Jerome (2009). The Three Cultures: Natural Sciences, Social Sciences, and the Humanities in the 21st Century. New York: Cambridge University Press. Pernu, Tuomas K. (2011). "Minding matter: how not to argue for the causal efficacy of the mental". Reviews in the Neurosciences 22, p. 483--507. Dr Tuomas K. Pernu: research fellow at King's College London, research associate in Philosophy & Medicine at King's.